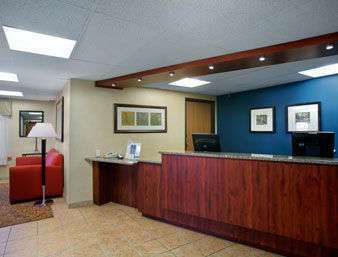 Welcome to the Knights Inn Davenport hotel near downtown Davenport. This lodging facility offers a great location two miles south of Interstate 80 with convenient access to Route 61, and proximity to Figge Art Museum, NorthPark Mall, Rhythm City Casino, Isle of Capri Casino, Jumers Casino Rock Island as well as several restaurants. Convenient amenities include complimentary wireless Internet access, complimentary large-vehicle parking, as well as guest laundry facilities, a business center and a meeting room for small events. Some guestrooms feature a microwave and refrigerator for convenience, or request a room with whirlpool for a little added relaxation. Pets are welcome for a small fee.